Port Everglades has received unanimous approval from Broward Countys board of commissioners for a $438 million project to add new berths and install crane rails for new Super Post-Panamax cranes. The project is the most expensive capital improvement agreement awarded in the ports history. Three leading freight companies have announced plans to increase their usage of rail services between China and Europe. The growth of rail freight service between China and Europe hasnt been entirely good news, however. As the Railway Gazette has revealed, the popularity of these services is proving harmful to rival cargo services, and in particular, air freight. The way pricing and payment for freight shipments around the world is shifting quickly to digital formats designed to ultimately provide more transparency into how cargo costs are compiled. Yet in the eyes of several firms, this trend wont necessarily lead to a more price-focused freight market. Rather, it could lead to a greater emphasis on customer service while at the same time lowering freight costs for shippers, transportation providers, logistics companies, and freight brokers alike. 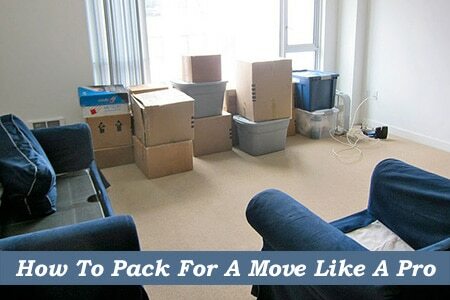 As soon as you learn for sure that there’s a residential move waiting for you in the upcoming months or weeks (or days! ), you need to start making some important decisions that will determine just how successful your move turns out to be. There isn’t.. The American Association of Port Authorities (AAPA) on Tuesday expressed concern about port-related funding cuts in President Donald Trump's proposed fiscal-year 2018 budget. Trump's budget would reduce funding to many programs that are “critically important to ports,” including Transportation Investment Generating Economic Recovery (TIGER) grants and port security grants, AAPA officials said in a press release. Nisomar, the data-driven maritime services company, is advising of an indefinite strike from Wednesday 24 May by the National Association of Customs Officers of Chile (ANFACH) which will affect all Chilean ports, airports and borders in the country. The strike will cause delays to all operations, with only special cases attended, such as those related to humanitarian support and dangerous cargo. It is anticipated that over 1,900 customs officials will be striking across the country. Professionals in the maritime industry have deliberated on how the ports of Ghana can be made more efficient so as to enhance its competitiveness in the West African sub region at a presidential conference in Accra. The risk of cyber attacks on vessels at sea continues to be significant, and its not going away any time soon. Each year, it seems, there are more and more reports of hacks that have resulted in loss of critical data, financial loss or problems with IT systems or shipborne systems functionality. Hapag-Lloyd (HLAG.DE) and Arab sector peer UASC are focused on speedy integration, Hapag's chief executive said after the German company announced completion of their delayed merger to creates the world's fifth-biggest shipping company. “We now not only have a very strong market position in Latin America and the Atlantic, but also in the Middle East, where we will become one of the leading carriers,” CEO Rolf Habben Jansen said on Wednesday.